College of Dentistry, King Saud University P.O. Box 60169, Riyadh 11545, K.S.A. Pencil-sized sticks of various plants are fashioned from certain plant - parts and are chewed on one end until they become frayed into a brush. The brush-end is used to clean the teeth in a manner similar to the use of a toothbrush. When used in this manner, they are commonly referred to as chewing sticks or Miswak. 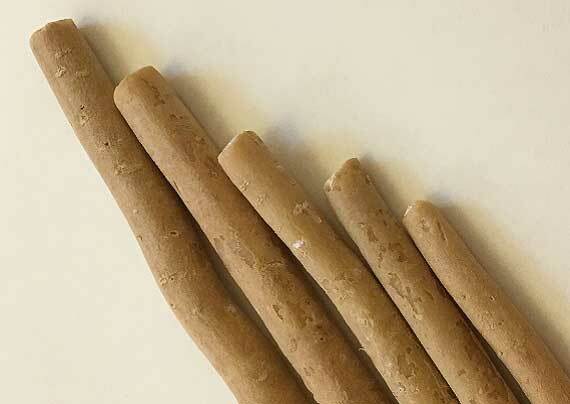 The conventional meaning of Miswak is 'stick used on teeth and gums to clean them.' Its various namesare Miswak and Siwak as used in the Middle East, Mswaki in Tanzania, Mefaka in Ethiopia and Datunin India and Pakistan.1 Although Siwak or Miswak is used to describe Arak (Salvadora persica), thestick which the Prophet Muhammad - Peace and Blessings of Allah be upon Him (PBUH) - used toclean his mouth with, miswak is a more general term which includes all types of sticks used as toothcleaning aids.